The Girl Who Lived Wins Gold! 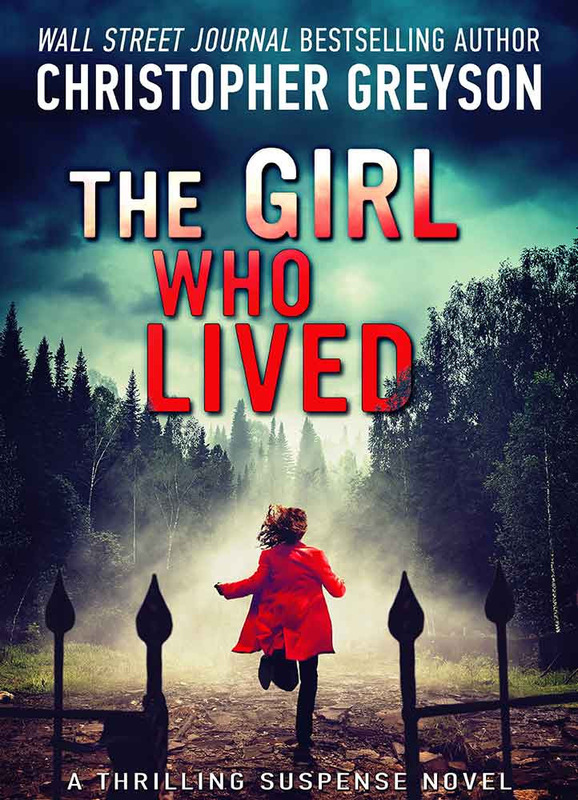 The Girl Who Lived, by Christopher Greyson, Wins Gold Medal for Best Mystery/Thriller eBook of the Year! The Independent Publisher Book Awards were conceived in 1996 as a broad-based, unaffiliated awards program open to all members of the independent publishing industry. They are conducted each year to honor the year’s best independently published books, the “IPPY” Awards recognize merit in a broad range of subjects and reward authors and publishers who “take chances and break new ground.” The awards are intended to bring increased recognition to the thousands of exemplary independent, university, and self-published titles produced each year, and reward those who exhibit the courage, innovation, and creativity to bring about change in the world of publishing. Grab your copy of this award-winning thriller today! Click to ORDER or Click to REVIEW. Jack Frost - Now in Audio! JACK FROST - THE NEW DETECTIVE JACK STRATTON NOVEL BY CHRISTOPHER GREYSON NOW AVAILABLE! From Wall Street Journal bestselling author Christopher Greyson comes Jack Frost, the next thrilling installment of the Detective Jack Stratton Mystery-Thriller Series, which has over 5,000 five-star reviews and one million readers and counting. If you love a page-turning action-adventure novel with mystery, humor, and a dash of romance, pick up Jack Frost today! GRAB YOUR COPY OF THIS BRAND NEW NOVEL JACK FROST TODAY! What do you get when you mix Agatha Christie’s masterpiece And Then There Were None with the blockbuster television show Survivor? 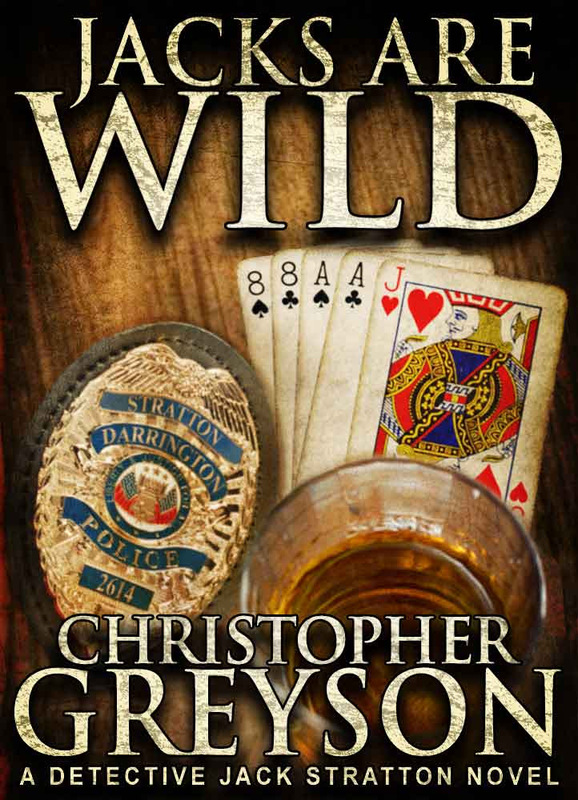 GET The next exciting installment in the wildly popular Detective Jack Stratton Mystery-Thriller Series from Wall Street Journal bestselling author Christopher Greyson. Grab your pre-order copy of this brand-new novel and be one of the first to start reading this thrilling whodunit today! On sale for loyal readers during pre-order for only $4.99! Regular price $9.99. 1. The Girl Who Lived is now available as an audio book! Buy it here now! Ten years after Faith was the sole survivor of a brutal murder scene, which included the death of her sister, she is released from the psychiatric hospital. Once again in her hometown and still wracked by survivor’s guilt, Faith spirals into a black hole of alcoholism and wanton self-destruction. The police think she’s crazy, her therapist thinks she’s suicidal, and everyone else dismisses her as a dangerous drunk. But when Faith decides to track down her sister’s killer, she discovers that she’s the one being hunted. 2. Introducing “The Adventures of Finn and Annie,” a MiniMystery Series for readers who have found a home in Detective Jack Stratton’s world. Finnian Church chased his boyhood dream of following in his father’s law-enforcing footsteps byway of the United States Armed Forces. As soon as he finished his tour of duty, Finn would report to the police academy. The winds of war have a way of changing a man’s plans. Finn returned home early, a decorated war hero without a leg and without a plan. It wasn’t long before he discovered a way to keep his ambitions alive and earn a living as an insurance investigator. Finn finds himself in need of a videographer to document the accident scenes. Into his business and orderly life walks Annie Summers. A lovely free spirit, single mother of two, who has a physical challenge of her own—she’s completely deaf. Finn and Annie find themselves growing in ways they never imagined. Join this unlikely duo as they investigate their way through murder, arson, theft, embezzlement and maybe even love, seeking to distinguish the truth from lies, and scammers from victims. Check back here on this blog soon to read the first in this new series “The Adventures of Finn and Annie”! 3. Jack Frost, an all-new Detective Jack Stratton Novel! Jack is back and this winter is going to be white hot with the latest installment in the wildly popular Detective Jack Stratton Mystery-Thriller Series. What if the reality series Survivor met Agatha Christie’s masterful And There Were None? The answer is Jack Frost! Jack and Alice have a new assignment: to investigate the suspicious death of a soundman on the hit TV show Planet Survival. While Alice researches the incident from home in Darrington, Jack goes undercover as a security agent where the show is filming on nearby Mount Minuit. Soon trapped on the treacherous peak by a blizzard the media are calling the “Two-Headed Beast,” the mysterious killer continues to stalk the cast and crew of Planet Survival. As the temperature falls, the body count begins to rise and what started out as a game is now a deadly competition for survival. The Ex, a new psychological thriller from the mind that brought you The Girl Who Lived. Kate Gardner had it all. Married to a handsome, successful lawyer, two great kids, and a beautiful house in the suburbs. But when her husband Scott decides to uproot their family and set up a new law practice in his hometown, Kate struggles to find her place. Her mother-in-law, a wealthy widowed philanthropist swoops in and arranges everything; the movers, a realtor, even childcare. Their realtor, a beautiful ‘old friend’ of Scott’s turns out to be his high school sweetheart who does more than locate an office building for the new firm. These two old flames burned life as Kate knew it to the ground. She soon finds herself to be a hated outsider, trapped by the divorce agreement in a town where Scott is running for city council with his blond trophy on his arm. And just when she thought it couldn’t get any worse, she discovers someone is watching her…a scary, dangerous stalker. Or maybe not… Is it all in her head? With no one to turn to, Kate must take matters into her own hands to protect her children and herself. Jack and Alice head south for some fun in the sun in Jack of Hearts. Gift or pick up for yourself any of Christopher Greyson's novels and enjoy your holiday season with a good book. New Psychological Thriller by Christopher Greyson Now Available! Grab your copy of this brand new novel The Girl Who Lived today! New Thriller Release from Christopher Greyson! Thank YOU for Making Jack of Hearts a Success! is a success thanks to YOU! I would like to thank all YOU wonderful readers out there. It’s YOU who make the literary world what it is today— a place of dreams filled with tales of adventure. To all of YOU who have read Jack of Hearts and taken Jack and Replacement under your wings and spread the word via social media and who have spent the time to go back and write a great review, I say THANK YOU! Your efforts keep the characters alive and give me the encouragement and time to keep writing. I can’t THANK YOU enough. DATA JACK AND JACK OF HEARTS - NOW IN AUDIO! In this digital age of hackers, spyware, and cyber terrorism—data is more valuable than gold. Thieves plan to steal the keys to the digital kingdom and with this much money at stake, they’ll kill for it. Can Jack and Replacement stop the pack of ruthless criminals before they can Data Jack? Jack of Hearts is available for pre-order today! Jack Stratton is heading south for some fun in the sun. Already nervous about introducing his girlfriend, Alice, to his parents, the last thing Jack needed was for the dog-sitter to cancel, forcing him to bring Lady, their 120-pound King Shepherd, on the plane with them. The dog holds Jack responsible and wants payback. On top of everything, Jack is still waiting for Alice’s answer to his marriage proposal. Grab your pre-order copy of this brand-new novel in the highly-acclaimed, wildly-popular Detective Jack Stratton Series, by Wall Street Journal bestselling author Christopher Greyson, and be one of the first to start reading this thrilling whodunit today! Click here to pre-order. Jacks Are Wild and Jack and the Giant Killer - Now in Audio! Girl Jacked & Jack Knifed Now AVAILABLE in Audio! ON SALE TODAY - CLICK HERE TO BUY THIS BESTSELLER TODAY- NOW IN AUDIO! ON SALE NOW - CLICK HERE TO PICK UP THIS WALL STREET JOURNAL TOP 10 BESTSELLER TODAY-NOW IN AUDIO! Greyson Media Associates Charts an Exciting Course for 2017! Journey to an undiscovered country or a whole new world. Cast off the bow lines of your imagination and set sail toward whatever star you pick. You’re the captain of your own ship and the destination is w10.here ever you want to go! There’s no cigar chomping editor telling you what you can or can’t write. A committee didn’t set your due dates. Gatekeeper? HA! It’s you and you alone calling the shots! With all the new technology you can capture an idea whenever one leaps to mind. Jot it down on your phone, take a voice note on your watch or use a napkin and a crayon, you can write and work anywhere. When you love your job, it’s good to be on duty twenty-four seven. It doesn’t matter if you’re out for a jog or at the store. You’re collecting information constantly. Is the old, run down scary building that you’re jogging by a perfect setting for your horror novel? Isn’t your neighbor’s unique way of speaking just perfect for a character in your new thriller? Have you ever wanted a do-over? Well, Indie authors get them. Find a typo in your published novel? No problem! With a push of a button, and the help of Amazon, we republish! Talk about power. You may be captain of your own ship but you are far from alone on the high seas. If you need help learning to sail, there are thousands of fellow adventures willing to lend a hand. Forums, books and blogs offer countless advice to make what had been a perilous journey smooth sailing. Not only do you dance to the beat of your own drum, but you sail on a tide that you set! You get to write when, where and how you want. It doesn’t get better than that. Set your writing space up to be your own happy place. You’re not under the yoke of a corporate office. If you want to have posters on your walls, action figures on your desk and write while wrapped up in your favorite bathrobe — go for it! It’s good to be king. Being an Indie author means you are an AUTHOR. You’re in the club. You’ve arrived. When someone asks you where they can get your book you can look them in the eye and say—anywhere. E-book or print you’ve got it covered. The world just got a whole lot smaller. Not long ago, it would take a lifetime to get your work out globally. Now with the push of a button—ZOOM! People everywhere can read what you write. Being an Indie Author is an adventure like no other. Cast off from the dock, point your bow out to sea and unfurl the sails. There’s never been a better time to start your journey. God speed and may the wind be at your back! Amazon has selected me to be featured in their October Powered By Indie page. You can check them out along with other indie authors here: www.amazon.com/poweredbyindie. And Then She Was GONE is the riveting new suspense novel in the Detective Jack Stratton Series. The novel begins with Jack getting ready to enlist in the Army when he's swept up into his first case. Click here and read it today! Stacy sat in her stiff office chair and listened to the quiet. All was silent around her little cubicle; the last of her coworkers had gone home over an hour ago. But to be sure, she raised herself up on the arms of her chair to peek over the cubicle wall at the maze of cubbies that surrounded hers. Only when she was certain she was alone did she dare to break one of the standing rules at H.T. Wells Financial: she slipped her aching feet out of their high-heeled prisons. Wiggling her toes, she settled back in her chair and let herself enjoy her mini-rebellion. Her phone’s beep announced yet another text from her mother. She glanced at the screen. Her mother had forwarded her an advertisement for a Taser. In the picture, a white-haired grandmother posed like Rambo. Personal Protection Guaranteed, the ad promised in giant type. Stacy didn’t reply. It was the fourth similarly themed text in the last few days: pepper spray, guard dogs, even a gun safety class. This had all started after her mother read an article about a rash of purse snatchings in Fairfield. In spite of Stacy’s insistence that her new home was in a quiet bedroom community, her mother still worried. “Stacy.” A man’s deep, slightly irritated voice broke the silence. Startled, Stacy jumped out of her chair, banging her knee on the desk drawer in the process. So she wasn’t alone after all. “Do you have a second?” her boss called out. Scrambling, Stacy jammed her feet back into her shoes and rushed down the corridor of the empty office, her hurried response fueled by her need for this job. Stacy nodded, but she had no intention of honoring the request. Leland Chambers was upper management and she was a worker bee. At H.T. Wells, the haves and have-nots didn’t mix—if they wanted to keep their jobs. Stacy Shaw was a mid-level financial analyst. Everything about her dress matched her position—plain and practical. She wore a gray silk blouse, classic black pants, a narrow leather belt, and simple black heels to compensate for her diminutive stature. Her makeup was light and natural, her blond hair neat, and her only jewelry was a pair of pearl stud earrings. All compliant with HR’s dress code. “He’s out of town on business.” Stacy self-consciously held the pile of papers to her chest. “Who?” she asked, but then immediately regretted doing so, fearing who she was about to be compared to. Stacy lowered her eyes as her hand tucked an errant strand of naturally blond hair behind her ear. “Thank you,” she mumbled, and made a hasty exit from his office. Mr. Chambers stopped with one foot inside her cubicle and angled his shoulders. There was something different about his stance; Stacy couldn’t put her finger on what it was until the words “strike a pose” jumped to mind. From his tasseled leather loafers and pleated khakis to his fitted white shirt and perfectly groomed goatee, Mr. Chambers’ style seemed carefully lifted from a GQ magazine. Even his fingernails were expertly manicured. Stacy shook her head. “Thank you, but I want to finish up a couple of things.” She sat down. “You’ve already done enough time in the mine for one day. Besides, the buck stops with me. I’ll adjust your time card.” He gave her an over-the-top, slow-motion wink. “I couldn’t let you do that.” She slid her hand under her thigh and scrunched up in her chair. “The Right-A-Way Shipping report?” Mr. Chambers repeated. “That report is done.” Mr. Chambers’ tone changed. He stepped forward and glared at her monitor. “What’re you doing with it?” He pressed against her chair, pinning her in place. “Umm…” She shuffled some papers around on her desk, unsure what to say next. Stacy nodded. She pressed a few buttons on the keyboard and opened the mail program. “I haven’t changed anything.” She swallowed. Stacy nodded demurely, but didn’t turn around. Feeling like a prisoner in a cell, Stacy sat there and listened to his keys jingle as he walked away, tapping each cubicle wall as he passed it. Her heart thumped in her chest and her hand trembled as she moved the mouse. She closed her eyes and tried to calm her breathing. She wanted to call Michael, but she wasn’t sure whether he was having dinner with clients. He had called earlier from his hotel room to let her know that he’d arrived and that their old car had held up on the long journey. And considering nothing had really happened, she thought there was no reason to get Michael upset, too. She pushed the incident with Mr. Chambers aside and got back to work. The requests in her inbox were dealt with quickly, and it took only another forty-five minutes for her to finish her reports. After clicking the last report closed, she triumphantly sent it off. She grabbed her favorite tan handbag off the floor, and realized it was damp. She sniffed and smelt the pungent scent of carpet cleaner. On her way out, she passed by her coworkers’ cubicles, filled with photos of happy families, smiling kids, and hugging couples. She was starting to know her new coworkers, and the more she did, the fonder of them she became. A shudder ran through Stacy’s body, but not because she was cold. The air conditioner had already turned off for the evening, and the heat of summer had quickly warmed the office. No, it was the thought of the silence, the cold stillness, she faced at home without Michael that made her wince. She had grown up a latchkey kid, in a quiet house with no brothers or sisters, and parents who were always gone. But instead of conditioning her to enjoy being alone, the experience had done the opposite. She hated being alone. An industrial vacuum cleaner that looked like a small Zamboni rounded the corner up ahead. At first, the burly custodian kept his eyes focused on the area in front of the machine as he pushed it down the hallway, but then he noticed her and switched the vacuum off. “Hello, Mrs. Shaw.” His eyes darted all around the office, never meeting hers. Jeremy awkwardly offered his hand to shake. As she shook it, she struggled not to recoil at the touch of his rough, callused skin. “See you tomorrow,” Jeremy said. Jeremy watched her until she disappeared through the door. Then she heard the vacuum cleaner turn back on. Outside, the warm, moist summer night air felt wonderful on Stacy’s face. The sun had set, and faint stars peeked out from behind dark clouds that were rolling in. Away from the office, Stacy felt free. She wanted nothing more than to discard her heels, take off her bra, slip into one of her husband’s t-shirts, and curl up on the couch with a pint of ice cream. Stacy’s hand flew to her chest. Betty was on the north side of fifty and seemed as though she’d probably had the same tough exterior since college. She was tall for a woman, and her heels made her even more imposing. When they first met, Stacy wondered why Betty wore outfits that drew attention to her thick, broad frame—but after she came to know her, she realized that Betty liked to be intimidating. “You work on it now?” Stacy asked, confused. “It’ll have to be next week. Michael is coming home tomorrow,” Stacy said. “Michael’s out of town?” Betty asked. “Oh, is he…” Bruce said. Bruce and Betty exchanged a quick glance. “If you want the company,” Betty added. Stacy waved as they pulled away from the curb. She walked around the corner of the building to the company parking lot. There were only a couple of cars in the lot, and she walked straight to her Civic. The driver’s door squeaked as she opened it. She mentally added lube the car door to her honey-do list. Michael had suggested they get her another car, but Stacy knew they couldn’t afford it. Right now, every penny they had was going into the savings they would need in a few months. She sat down in the driver’s seat, cranked the window down, and turned the key. Absolutely nothing happened. Not even a click. She turned the key again. Nothing. “Oh, no. Not now.” She pushed the gas down and turned the key again. The engine didn’t so much as sputter. “Yes, I am. You’re about to tell me that you love me,” Michael joked. “Then go get some rest. I’ll see you tomorrow night. I love you.” Stacy blew a soft kiss into the phone. “Love you too. ’Night.” Michael hung up. Stacy slumped back into the seat. She crossed her hands over the steering wheel and stared across the road to the park. A warm breeze blew through the open window; it was a beautiful night. She took a deep breath, enjoying the balmy summer air. She knew if she cut through the park, it would be only a short twenty-minute walk from here to home. And she had gone to the park a few times with Michael during her lunch break, and thought it was a lovely place. She could leave the car overnight, then Michael could fix it when he got home and they’d save the money for a tow. Satisfied with her plan, Stacy grabbed her handbag, closed the window, locked the car door, and crossed the street. The entrance to Hamilton Park was marked by a beautiful stone archway. Modeled after Roman architecture, its twin stone columns towered fifteen feet high on each side, suspending a rounded arch between them, and thick, pitted iron gates were welded eternally open. Inside the park, old-fashioned streetlamps lit the paved main paths. A web of smaller unlit paths crisscrossed the park, but Stacy elected to stick to the lighted areas. As she walked, she made plans in her head of all the things she would need to buy over the next few months: nursery furniture, baby clothes, and one of those instant baby thermometers. Her shopping list grew longer with each step. While she hurried along, she spoke aloud to herself. She didn’t care; no one was around, and she had no one else to talk to. Stacy was passing by a monument—a neoclassical column of marble that stood twelve feet high. The top of the column was decorated with four stone faces of older men, one facing in each of the four compass directions. Stacy felt as if those faces were scowling down at her in silent judgment as she passed. She shuddered and turned away. The park now felt different. The rolling hills and groomed grounds no longer reminded her of families walking and children playing. Now, unnervingly, they reminded her of a cemetery. The faster she walked, the louder her heels rang on the tar. The tap-tap-tap of her shoes matched the rapid pace of her heart. A bench ahead drew her focus. At first it looked like her couch on laundry day, covered in a mound of clothes. But as she drew closer, the mound moved. A homeless man sat up and glared directly at her. He had apparently laid two filled trash bags over himself, and as he rose, the contents of one of the bags spilled onto the walkway. Instinctively, Stacy moved to the far side of the path. The man crouched low over his bags, looking like a rabid raccoon protecting his spilled trash. He glared at her, his eyes barely visible behind bushy eyebrows, his yellow teeth poking out from his unkempt beard. He cursed under his breath as he watched her pass. Stacy took a deep breath and upped her pace. Her mother’s words of warning now filled her with dread. She clenched her bag to her chest and hustled on. The lovely park’s tall oaks and flowering shrubs had turned ominous. A dead tree’s branches clawed at the sky like skeletal fingers. Just a few yards off the path, everything was shrouded in the murk, and dark shadows played tricks on her mind. Every sound now took on a foreboding tone: branches groaned and creaked; leaves rustled; an unseen creature scurried along the undergrowth. Goose bumps crawled across Stacy’s skin. Her shoulders hunched inward as she marched forward like a hiker in the winter woods, her body leaning forward against an invisible storm. She was almost jogging now. The heel of one of her leather shoes had dug a deep blister into the back of her foot. Stacy looked around like a startled bird. The heat of the night now felt thick and oppressive. She took a deep breath and tried to marshal her resolve. She started forward, her skin prickling as the night air wrapped around her. Like a child, she found herself holding her breath as she hurried through the darkness. With every step, a shiver crawled down her spine. But when she heard the rush of water from a fountain up ahead, she knew she was almost out of the darkened area. And when she saw the next streetlight through the trees, shining like a welcome beacon, she breathed a sigh of relief. “I can make it,” she reassured herself. A muffled sound made her turn to the side. Not far away, along the tree line atop the hill, a darker shadow stood apart from the others—a hulking silhouette emerging from the woods. The figure rushed toward her. Stacy shrieked incoherently and bolted. Her pursuer’s footsteps rang loudly off the tar behind her. They were heavy and fast. Tears blurred Stacy’s vision, but she cast one fleeting glance over her shoulder. Like a bear crashing down from a mountain, her pursuer was gaining on her fast. The figure was still shrouded in darkness, and the only detail Stacy could make out clearly was that they wore a ski mask. As she ran, Stacy rifled through her handbag, searching desperately for her phone. Tight bands circled her chest as she gasped for air. Her heart thumped and thrashed like an unbalanced washing machine. Her fingers found the phone. She began to dial. But just then her heel caught on a broken edge in the paving stones, and she stumbled and pitched forward. She would have fallen if her assailant hadn’t caught her. Long fingers seized her belt around her waist. The leather dug into her stomach as she was yanked back. “Let me go,” she pleaded. Hoping they were just after her money, she flung her handbag as far into the woods as she could. “Take it. Just take it!” she screamed. Her scream turned into a guttural wail when the attacker ignored the bag and kept hold of her. Her hands clutched at the air. She felt like she was swimming through a riptide, desperate to make it to shore. She darted a glance at her attacker. The front of the ski mask was painted with a skull—a skull with a twisted, evil grin. She recoiled and tried to pull away. She fought back as hard as she could. She raised her leg and drove her heel down onto her attacker’s foot. A growl of pain emerged from beneath the mask, and the fingers grasping her belt let go. “Help!” she cried out into the stillness of the night. But no one answered. The light was still too far away, and there was no reason to believe mere light would protect her now. Her only chance was to lose her attacker in the darkness. So she kicked off her heels and ran off the path, the wet grass slick beneath her bare feet. She still had her phone in her hand, and once again she tried to dial. But her attacker had recovered quickly, and now closed the distance, fast. She felt herself pushed from behind, and she pitched forward and landed hard on her chest. The phone flew from her hand and landed softly in the grass in front of her, the numbers 911 illuminated on the screen. She just needed to press the call button. But it was too late. A hand grabbed the back of her neck. Long fingers wrapped around her belt and yanked her up. She screamed and grabbed at the hands, but the thick fingers only tightened their grip. A muscular arm circled her waist from behind and dragged her toward the woods. Her arms thrashed, but she could only beat helplessly at the air. She kicked backward, and her foot struck flesh, but her attacker didn’t slow. Fear turned into abject terror. “No,” she wept. She dug her feet into the ground as she was yanked backward, trying to slow their progress. A rock sliced deep into her heel and blood flowed, but still she struggled. Finally her attacker must have decided they were far enough from the path, as Stacy was flung roughly to the ground, face up. The attacker’s full weight dropped down on top of her. With one last burst of strength, she clawed at her attacker’s face. Grasping the ski mask, she wrenched it off. A fist struck her violently. The blow cut her lip. She tried to think, but her mind fogged. “No…” she mumbled. Then the fist struck again, and everything went black.